With over 30 years’ experience in the travel industry, we are experts in mini bus and coach hire services, not to mention coach trips and vehicle servicing throughout Amersham. 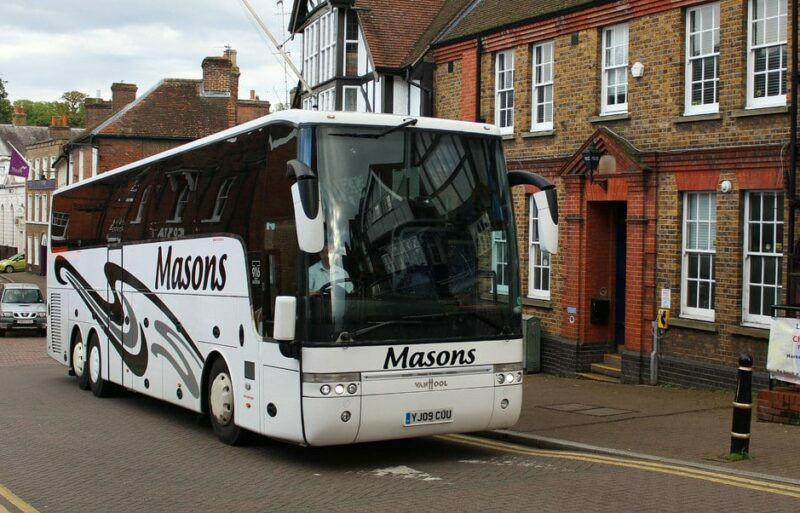 Whether you are looking to go on a huge shopping trip, want a day out at the beach with the family, or are off to a football match, Masons can provide you with travel choices best suited for you. Our staff provide a professional, stress free service to our customers, located just 30 minutes’ from Amersham we are happy to offer our services within this town and the surrounding areas. Call us on 01296 661604, alternatively fill out our online contact form today and a member of the team will be happy to provide you with a free quotation.